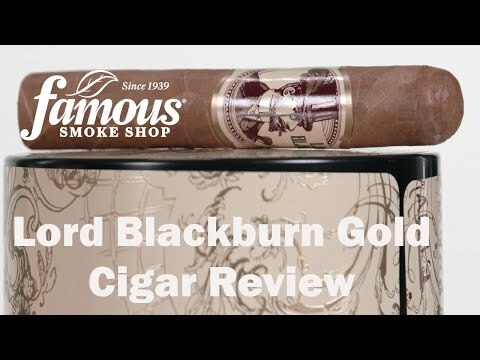 Lord Blackburn Gold Cigars are perfect for anyone looking to add a great deal of flavor to their day at a price that can't be beat. In the case of Lord B, quality wins - that alone would be reason enough to pick up some for yourself…but the real story is the inimitable blend of premium Nicaraguan and Colombian tobaccos, bunched in a fiercely flavorful San Andres binder and topped with a rich Honduran Connecticut shade grown wrapper. A perfect cigar for a day on the golf course, Lord Blackburn touts a clean and even burn all the way through your smoke. Ditch grandpa’s moldy-oldies and go for gold, Get your Lord Blackburn jar today!